The Old Gaelic words of "fear" and "char" combine to create the name Farquhar which means "dear one". 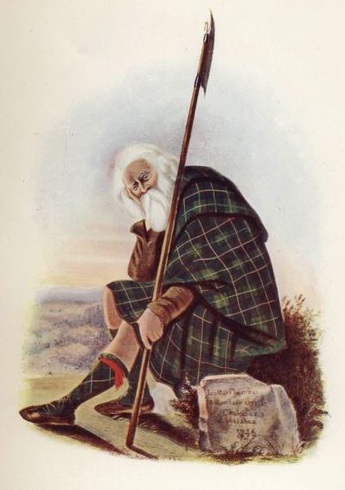 It was a popular Celtic first-name, and was to be found all-over Scotland in the middle ages. As a surname today however the form "Farquharson"(son of Farquhar) is more common. A warrior named Fearchar Shaw founded a dynasty who took the name Farquharson. Their clan flourished in the places of Angus and Mar where the name is still to be found. The Farquharsons of Invercauld originally owned Balmoral Castle, which is now the holiday retreat for Queen Elisabeth and which was sold to Queen Victoria in the 1800s. The descendants of Farquhar, son of the third Shaw of Rothiemurchus, were known as Farquharson and settled in Aberdeenshire. The Clan was a member of the Clan Chattan Confederation. There developed many other branches of Farquharsons, notably the Farquharsons of Monaltrie and Inverey, who fought under Montrose at the Battle of Worcester (1651). Later that century, "Bonnie Dundee" had the Farquharsons' support for his forces -- including John, third Laird of Inverey, known as the Black Colonel. He is remembered in ballad and legend, and for his daring escape from the Hanoverians, supporters of the English royal family, when he rose his horse up the dangerously sheer, craggy side of the Pass of Ballater. ABERDEENSHIRE, the home of the clan, is a maritime County in the North East. of Scotland where the coast is mostly bold and rocky, and with little indentation. The chief promontories are Kinnaird's Head, Rattray Head, and Buchan Ness, the last being the most easterly point of Scotland. The surface, on the whole, is hilly and mountainous. It is lowest in the districts bordering on the coasts; hilly in the interior, with much moor, but also with many slopes and hollows in a good state of cultivation; and grandly mountainous in the SW., where numerous summits, including Ben Macdhui (4296 ft.), rise above 3000 ft. Much of the country is well-wooded. The chief rivers are the Dee, Don, Ythan, Ugie, and Deveron. Granite is the principal rock, and is extensively quarried for exportation. Aberdeenshire is bounded N. and E. by the German Ocean; S. by the counties of Kincardine, Forfar, and Perth; and W. by the counties of Inverness and Banff. Greatest length, NE. and SW., 85 miles; greatest breadth, NW. and SE., 42 miles; coast-line, 60 miles. Area, 1955.4 sq. m., or 1,251,451 ac. Pop. 267,990, or 137 persons to each sq. m.
barrie, bowman, brebner, christie, christison, christy, coates, coats, coutts, cromar, farquhar, ferries, findlay, findlayson, findlaison, finlay, finlayson, gracie, grassick, greusach, hardie, hardy, kellas, kerracher, leys, lyon, macartney, macgaig, maccartney, maccuaig, macearacher, macercher, macerracher, macfarquhar, machardie, machardy, mackerchar, mackerracher, mackindlay, mackinlay, mackinley, paterson, patterson, reiach, reoch, riach, tawse.